Kewanee has always been an industrial center. Since before the Civil War, factories in Kewanee have produced everything from pipes to boilers to pumps to gloves to cornhusking equipment. 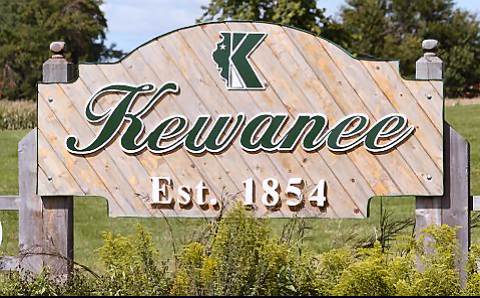 The Kewanee name has appeared on manufactured goods around the world, as local plants have produced for both the domestic and the international marketplace. Today, Kewanee factories make consumer goods, medical supplies, industrial products and equipment for contractors. One of the nation�s premier manufacturers of semi trailers also has a plant here, and another factory produces more specialized truck trailers. Also produced here are trailers featuring patented designs that make it easy to lower trailers to ground level for easy loading of cargo. From small machine shops employing a handful of skilled craftsmen to large factories with hundreds of assembly-line workers, Kewanee�s manufacturers provide employment for many people. Service industries have become important to the Kewanee economy, with a high-tech telephone calling center and an expanding warehousing component. Manufacturers have the benefit of a topflight support system. City and state governments can provide low-interest financing for important projects. The Kewanee Economic Development Corp. can offer professional expertise, and there is an abundance of sites in three local industrial parks. Black Hawk College offers a number of technical courses, and can tailor training programs to a company�s specific needs. Manufacturing has been vital to Kewanee for a century and a half, and will continue to grow and adapt to meet the needs of an everchanging world.